Long-Lasting Discipline care, highly concentrated professional heat activated discipline care with lasting results. Coats the fibre providing an intense reconstitution and long-lasting manageability. ▪ Faster & longer lasting blowdry. ▪ No chemical transformation of the fibre. 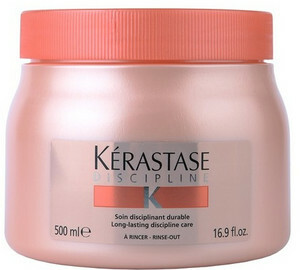 Kerastase Protocole Hair Discipline Soin N°1 makes hair easy to brush for 10 hair washes. The hair gains extreme smoothness and control, unbelievably fluent movement thanks to Kerastase Protocole Hair Discipline Soin N°1. Kerastase Protocole Hair Discipline Soin N°1 seals up the hair and thus prepares the hair for an intensive restoration and a long-lasting styling. 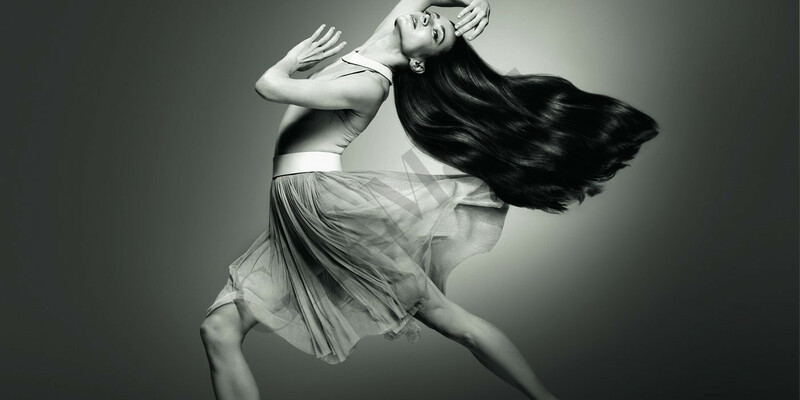 The technology developed for Kerastase Protocole Hair Discipline Soin N°1 is called Morpho-Keratin Complex. Three major hair care ingredients in Kerastase Protocole Hair Discipline Soin N°1 are the cationic polymer, the surface-morphing active ingredient and Research Ceramide. Kerastase Protocole Hair Discipline Soin N°1 also contains protection ingredients and shine enhancer which makes the hair more brilliant and protects it from external influences. 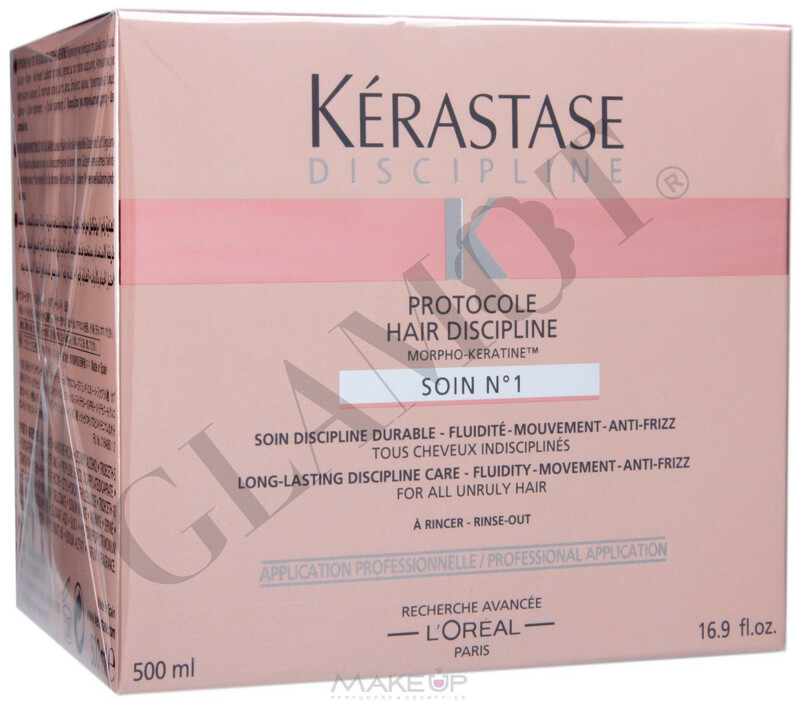 Distribute Kerastase Protocole Hair Discipline Soin N°1 evenly strand by strand on towel-dry hair and massage in. Dry hair. Work on the hair with a straightener (180°C) strand by strand (2-4cm wide) and go thorugh every strand twice. Foam it and rinse out thoroughly. Use Kerastase Protocole Hair Discipline Soin N°2 after for maximum result.